As prospective MBA students consider future careers and opportunities, it’s clear that next-generation business ideas and profits will emerge from collaborations with related disciplines like engineering, public policy, life sciences and information/computer science. 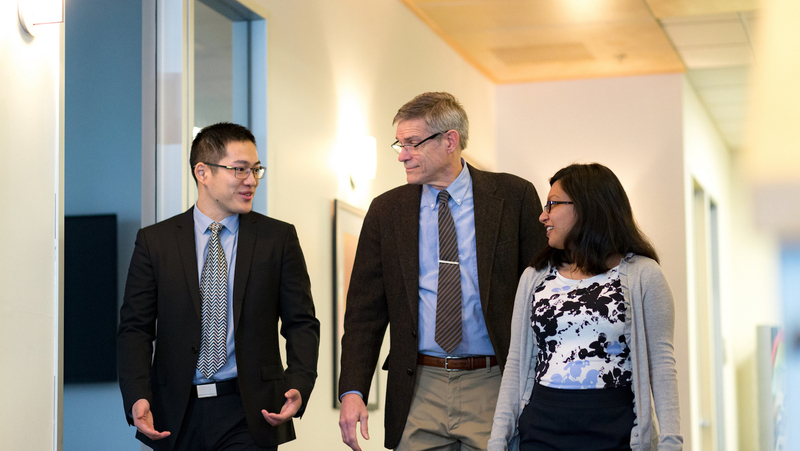 Increasingly, the Lerner College of Business and Economics approaches a changing business and technology landscape with an eye toward partnerships and cross-disciplinary learning. One of the advantages of pursuing an MBA or specialized business master’s within a larger university is the exposure to a wide range of experts and topics. In recent years, Lerner College has teamed with colleagues in engineering, computer science, economics and other disciplines to launch an M.S. in Entrepreneurship and Design degree, the JPMorgan Chase Innovation Center, the Institute for Business Analytics and a related MBA in Business Analytics. Earlier this month, the University of Delaware announced a new partnership that will establish Joseph R. Biden Jr., the 47th vice president of the United States as founding chair of University of Delaware’s Biden Institute, a new research and policy center focused on developing public policy solutions on a range of issues — including future offerings in the areas of smart cities and environment and energy. Major business consultants such as McKinsey and EY (formerly Ernst & Young) recognize that policy decisions — especially at the intersection of data and smart cities/energy — will increasingly drive business opportunity. A recent McKinsey report finds that successful businesses increasingly treat policy and sustainability issues as “having a direct impact on business results.” Experts from EY weighed in on the idea of data as the new currency of both policy and business. A separate but related 2016 Harvard Business Review article makes what it calls “a sustainability business case for the 21st century corporate executive.” Central to the business case is the idea of “creating shared value,” which argues that businesses can generate economic value by identifying and addressing social problems that intersect with their business. The result is a corporate ecosystem intent on creating value for all stakeholders, including employees, shareholders, supply chains, civil society, and the planet. To learn more about the changing business landscape and to find a program and a career path that fits your goals, attend a free Lerner MBA and Master’s Programs Information Session on Thursday, March 23 from 6:00 — 8:00 PM. (Clayton Hall, 100 David Hollowell Drive, Newark, DE 19716). Registration will be held in the Clayton Hall Conference Center Lobby. Complimentary parking is available in upper parking lot #7.